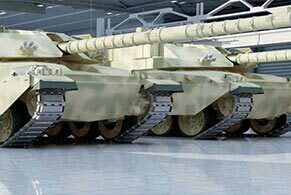 Oklahoma metal garage kits are pre-engineered to last decades. 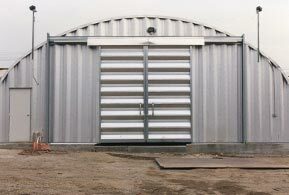 Custom design and price out your Oklahoma metal garage using our price calculator or our discount quote calculator. Or check out our clearance sale prices for garage kits we already have in stock. 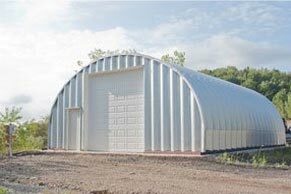 Each metal garage is engineered with 14 to 22 gauge 80,000ksi tensile yield carbon steel coated with aluminum-zinc alloy and silicon to last a guaranteed 40 year lifespan. 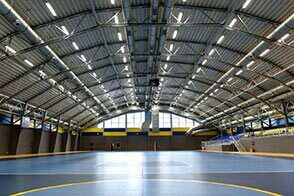 The panels that make up the entire building have a 7½" deep corrugation with two rows of grade 8 commercial bolts for reinforced strength. 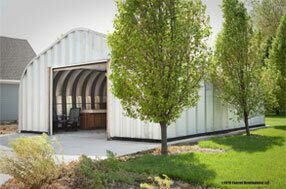 The paint used on your Oklahoma metal garage kit has a silicone-protected polyester coil coating system designed exclusively for steel buildings and comes in several colors that are Energy Star and LEED compliant. 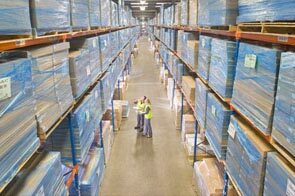 Metal Building Kings® distribution locations in Oklahoma City, Tulsa, Midwest City, Bartlesville, Norman, Broken Arrow, Lawton, and Moore are set up to efficiently and cost effectively deliver your orders to all 3.878 million residents in 82 counties state wide. 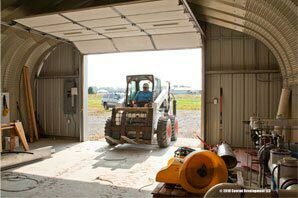 Metal garage kits and steel buildings are widely used in Oklahoma because they are the best pre-engineered building system to withstand tornadoes with a 170 mph wind code certification. Based on the National Science Foundation (NSF) RAPID assessment of F5 tornadoes that have swept through several towns and cities in Oklahoma, building codes now require higher wind code restrictions but are still way below what they should be to protect residents and businesses threatened by F2-F5 tornadoes. Buildings in tornado ally are the most vulnerable to storms higher an F3 on the building by Enhanced Fujita Tornado Damage Intensity Scale. This region spans from Northern Texas through Oklahoma, Kansas and Nebraska. Oklahoma is the epicenter of most activity. 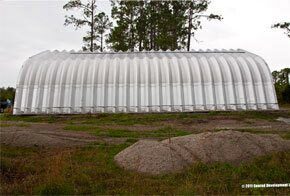 This is why Metal Building Kings® quonset garage kits are so valued by our Oklahoma customers. Moore, Oklahoma was the first town to revisit the wind codes suggesting 135 MPH wind resistant structures written into the code. 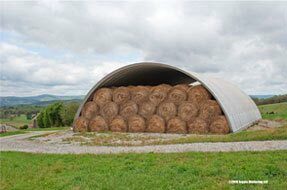 Steel arch building kits can withstand 170 mph. 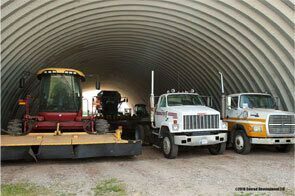 When Oklahoma businesses and homeowners want a solid building or garage that will not be ripped apart by a tornado they call Metal Building Kings and order a 14 gauge steel quonset hut and near have to worry. 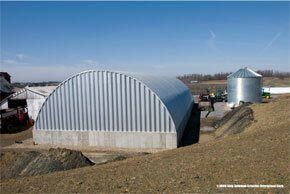 The steel arch kit can be bolted down to a cement slab using base plates to secure the building to the ground. 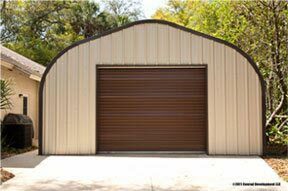 We also have commercial strength overhead and walk throw doors that are hurricane code approved and withstand tornado force winds. Read here for more on Oklahoma building codes. • The P Model for Oklahoma workshops, residential and small business.